What is Life Insurance and why you and your loved ones need it? Everyone goes through different stages in life. Could be that you are just starting a career, planning to get married, or even contemplating on what to do during retirement. 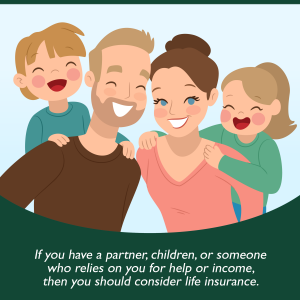 In the Philippines, life insurance is one of the most neglected yet effective investments that can both prepare you for your life goals and protect you or your loved ones when something unfortunate actually happens. Luckily these days, you can easily choose the type of plan you are comfortable with, the amount of coverage you think you would need, and the payment scheme you prefer. Get in touch with us to get fast, customized results that best match your requirements. Are you a current Rampver Financials Client? No, I am not a Rampver Financials client yet.Yes, I am a Rampver Financials client.I am not sure. If Yes, who is your current account officer? What riders do you want to attach to your policy? How long do you intend to pay?